On the night of 9-10 November 1938, SA and Hitler Youth units took to the streets of Germany and, in plain view, set synagogues on fire, smashed the window fronts of Jewish businesses, attacked Jewish people, and vandalized their homes. Well over 1,300 Jewish men and women were killed during the riots or died as a direct consequence of the attacks known today as ‘Kristallnacht’, “Night of Broken Glass” or “November Pogrom”. 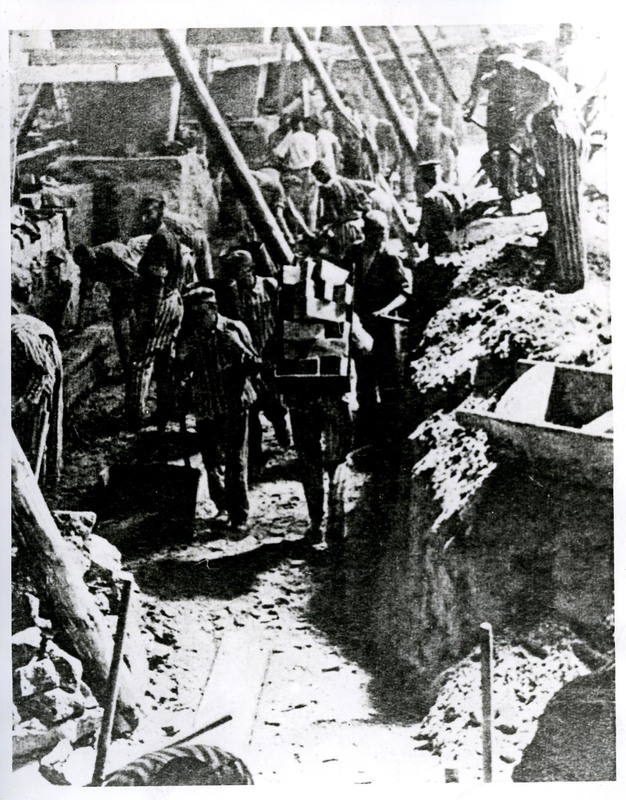 In the days following the pogrom, over 27,000 Jewish men throughout Germany were arrested and put in concentration camps; more than 6,000 of them were taken to Sachsenhausen in Oranienburg, north of Berlin. Their fate marked the beginning of a new phase in Nazi policies of persecution, and is the subject of the special exhibition in Berlin the author is currently preparing. The mass arrests were intended to dramatically escalate pressure on German Jews to leave the country. Once in the camps, the men were subjected to much harsher treatment than the rest of the prisoners. Over 80 of them died in Sachsenhausen. The great majority, though, were released by the spring of 1939 on the condition that they leave Germany immediately. Many in fact managed to leave and consequently survived the period of Nazi rule and war. Some survivors later gave testimony, like Gerardo (Gerhard) Nassau who had fled to Argentina in February 1939. From mid-November to mid-December 1938, Nassau had been detained in Sachsenhausen, or – as he called it – in the “Country of Numbers where the time stands still and the men have no names”. His report on what he experienced there was already given in September 1941, less than three years after he had left the camp. At that time, Nassau lived in Cordoba, Argentina. Still – and for unknown reasons – he wrote his report in English; perhaps because he simply mastered this language better than Spanish at that time. As a particularly early recording, Nassau’s testimony is a rare and very valuable source. Nevertheless, his report also is a delicate document which does not open up easily to the reader. In Sachsenhausen, Gerhard Nassau was exposed to extreme terror and arbitrariness. To describe this bitter experience, he made use of a biting sarcasm, presumably in order to protect himself from traumatic memories. 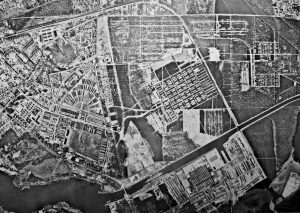 In the following blog post, Nassau’s outstanding report will be presented as extracts combined with explanatory comments and an aerial photo of the camp. Typos and misspellings have been corrected by the author; Nassau’s non-native-speaker’s English, however, remained unchanged. Special thanks to Pete Sacker, Gerardo Nassau’s nephew, who donated the memoir to The Wiener Library, and kindly gave permission to present it in this blog. Below is a visualisation using an aerial photograph of Sachsenhausen concentration camp taken by the Allies. 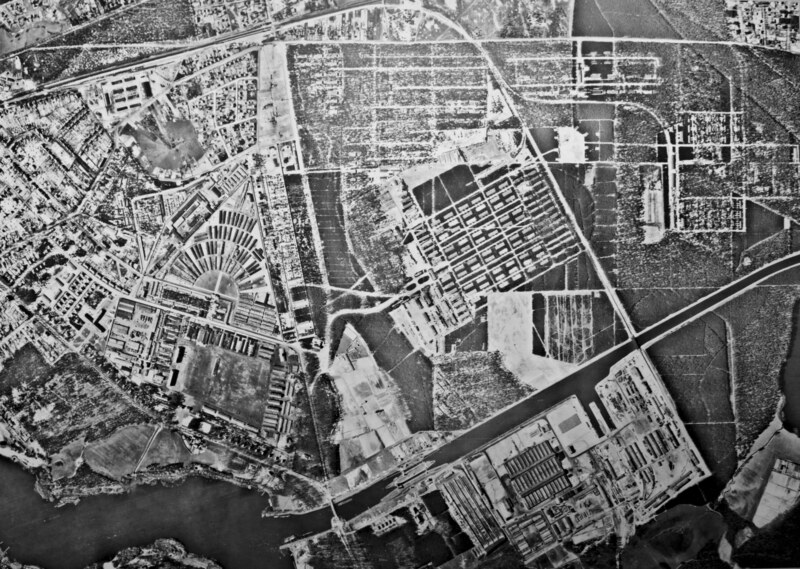 The photo shows the Sachsenhausen camp complex in early 1945: on the bottom, the SS-headquarters can be seen, on the top the prisoners’ camp in its triangular shape. Click on a highlighted area to read an extract from Nassau’s memoir that describes that part of the camp. References to these areas of the camp in the body of the blog will also link to a fullscreen visualisation. Gerardo (Gerhard) Nassau was born in Hildesheim, Germany on 1 November 1917. His parents, the paediatrician Dr. Erich Nassau and his wife Tony, moved to Berlin soon after Gerhard and his twin sister Gertrude were born. From 1936 on, Gerhard went to an agricultural school near Berlin. The school probably belonged to the Hachschara movement; it prepared Jews intending to emigrate for a life in Palestine. The bus went to Oranienburg, a small town about thirty kilometres out of Berlin, where it came to a halt at the entrance of a large camp. The men were told to get off and “welcomed” by SS-men (“Schutzstaffel”) with kicks, strokes and shouting which evoked fear and panic among them. Sachsenhausen concentration camp was built in the form of a triangle. The camp’s layout was focused on the entrance gate and main watch tower, from which the whole camp could be monitored. Directly in front of the tower, a roll-call area was located which was surrounded by a fan-shaped semicircle of barracks [see #1 in the aerial photo above or follow link]. It was there on the roll-call area, that the men had to stand absolutely still for several hours to be finally counted by the SS. After a lengthy roll-call and a frightening admonitory speech by a higher ranking SS-official, the incomers were taken to a barrack. There, they were received by so-called inmate officials (“Kapos”), i.e. 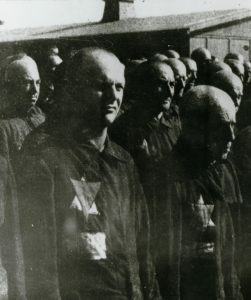 prisoners used by the SS to assist in organising camp operations. As Gerhard Nassau probably realized only later, Kapo-positions were mainly held by political prisoners or “criminals” with a long camp experience who behaved submissively towards the SS. By this, Gerhard learned that his father Dr. Erich Nassau had also been arrested after the November Pogrom and brought to Sachsenhausen concentration camp. This was not as great a coincidence as it may seem, since it was not uncommon for several men within a single family to be taken to Sachsenhausen. Political prisoners like communists were marked with red triangles, “criminals” with green, so-called anti-socials as well as Sinti and Roma with black, homosexuals with pink triangles. The Jewish men who had been arrested after the November Pogrom had to wear two triangles: a yellow one and a red one which were placed one over the other to form a star. 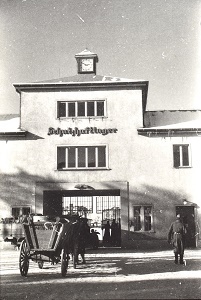 As the different prisoners’ groups were treated quite differently by the SS, the category had a big influence on the living conditions for the inmates. Jews were at the very bottom of the SS-made prisoner hierarchy. Under the coloured badges, a piece of cloth with the prisoner number was to be fixed. By that, the inmates lost their personality and were reduced to a number. They became a nameless part of an anonymous mass. 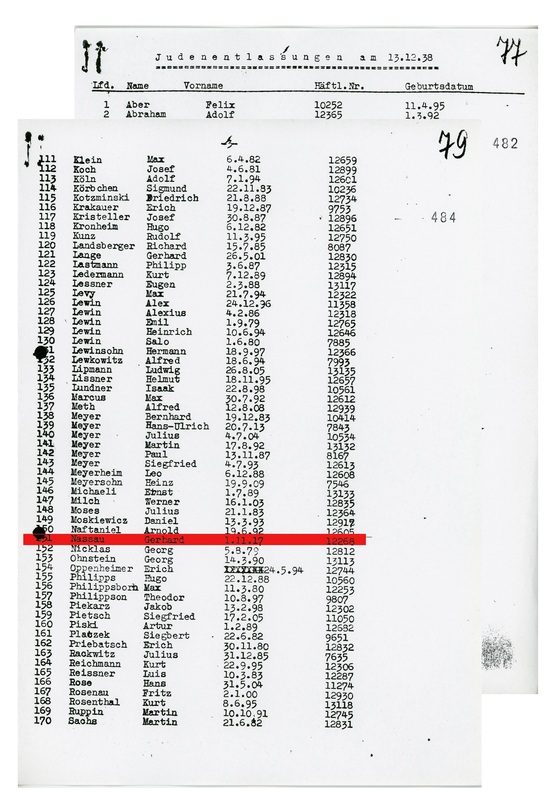 Nassau did not only repeatedly depict this transformation with the deadly pen of biting sarcasm; he even regarded it as the main specific of Sachsenhausen concentration camp which he constantly called “The Country of Numbers”. After having been shaved, showered, dressed and affiliated “to the Country of Numbers”, the incomers were sent to their barrack for the night. The barrack was part of the “small camp”, an extension of the main prisoner’ camp in Sachsenhausen [see #3 in the aerial photo above or follow link]. Being well separated from the other camp area, the “small camp” became the coercive residence of the over 6,000 Jews who had been apprehended following the November Pogrom. Gerhard Nassau and his fellow incomers were assigned to one of the barracks there. There was very little space since 140 men had to share a room around seven to eleven meters in each wing of the barrack. Still, this first night in Sachsenhausen had a traumatising effect on Gerhard Nassau, making him realize how helpless they were. On the second day, however, a pleasant incident awaited him for a start: among the prisoners in the “small camp“, he met his father. On the daily march to and from the brickworks [see the bottom right side of the more distant aerial photo above], the prisoners often saw inhabitants of Oranienburg, even children crossed their path in their games. But these people just stared at them and moved on without a word. Kapos and SS-guards put the men deliberately off their stride by shouting, beating and kicking so that the prisoners ran around in panic. The men stumbled, fell, lost their sand, and had to go back to receive a double portion as a punishment. Despite the hard work, nutrition in the concentration camp was absolutely insufficient. Breakfast consisted of a watery milk soup, a piece of black bread, a bit of cheese and some weak coffee. At midday and in the evening, the men got a watery soup. The worst punishment which could be inflicted to the inmates, therefore, was when a prisoner had to keep standing at the camp gate after the evening roll-call, for as a result he would miss the evening soup and have to go to bed hungry. The penalty was imposed for minor offenses against the camp regulations. Major violations of the rules were punished with beatings over a trestle where the victim received 25 or more blows on the backside. Even though the brutal act was performed in the isolated area of the camp’s prison [see #5 in the aerial photo above or follow link], the SS terrorized the whole camp by it. Before starting, the SS closed off the way to the prison. “The first time I did not know what this meant, but I saw how old inhabitants of the Country of Numbers turned pale under their skin when this happened. Later, I think, I also turned pale …”. Nassau now knew that a punishment was to be executed. Nassau’s report vividly shows how all the prisoners suffered vicariously with the victim. Still, the daily struggle for survival in the camp left them with little strength for compassion. From 14 November 1938 on, every day a certain number of men imprisoned after the pogrom were released – at first elderly or handicapped, then veterans from World War I, then others. Daily at the morning roll-call some 100-150 prisoners’ numbers were announced, causing the remaining Jewish inmates to again and again set up theories on the system behind the releases. Once his number had been called out during the daily announcement of the releases, Gerhard Nassau had to remain standing on the roll-call area after the morning roll-call had ended. Together with more than 200 fellow inmates, he had to wait for several hours until they were allowed to enter “Barrack B” to hand in their prisoners’ uniforms and get their own clothing and other belongings back. Then they were taken to the gate and advised not to speak about their experiences in Sachsenhausen concentration camp in the outside world. Finally they were allowed to go. 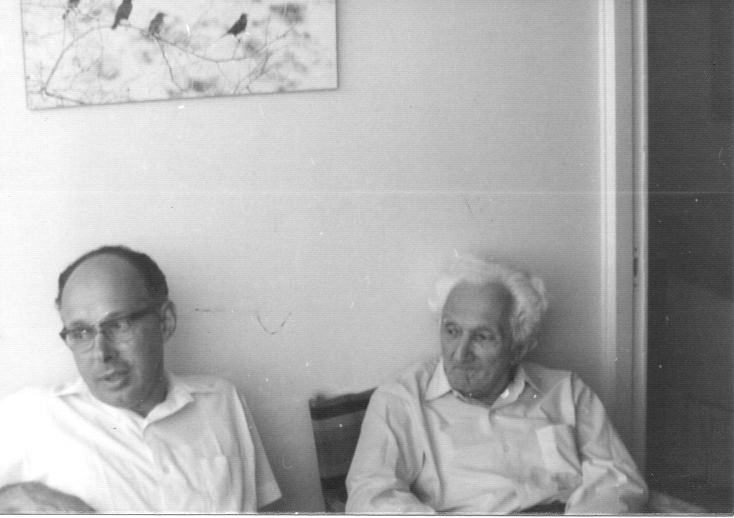 Returning to Berlin, Gerhard Nassau found out that his parents had just left for Palestine. His father had already organised his emigration to Argentina through a medical colleague and friend. Gerardo, how he now called himself, lived in Argentina for several years; then left for Israel to be near his parents. He died in Haifa in 1997. His twin sister Gertrude emigrated to the UK in 1936 and also survived the Nazi period. In June 2017, I was an EHRI visiting research fellow at The Wiener Library in London. It was an important opportunity that gave me the chance to explore new archival sources in connection with my research project on “Inmate physicians in concentration camps”. In addition, I found many new sources on the Jewish men admitted to Sachsenhausen concentration camp after the November Pogrom in 1938. Many thanks to The Wiener Library staff for their precious and constant help during my fellowship, to Pete Sacker for granting me permission to use his uncle Gerardo’s memoir, and to Jessica Green (The Wiener Library) for her help editing/formatting this blog and photo visualisation.